It's the holiday season, the time when many children find themselves going over the river and through the woods to Grandma's house. 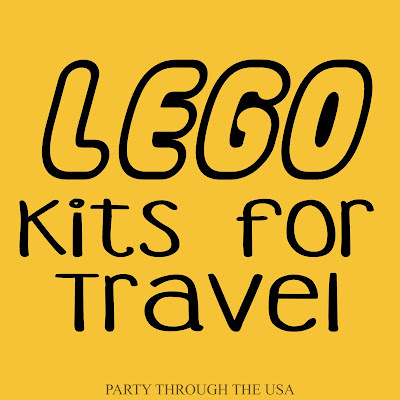 Whether you're road tripping or taking a plane, these DIY Lego kits are perfect for taking the world's favorite bricks with you wherever you go. 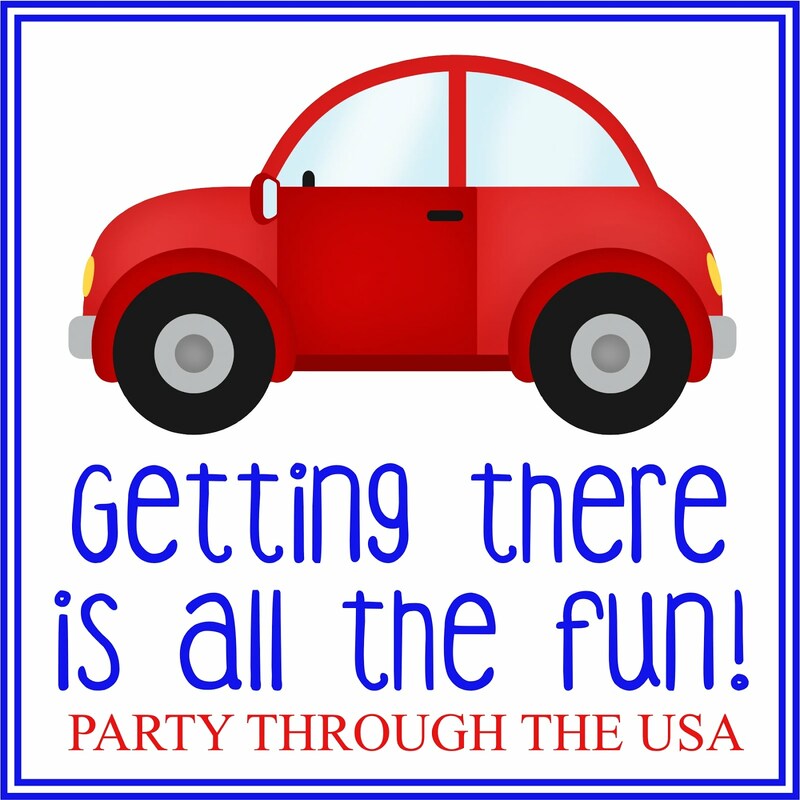 Put them together for on-the-go fun at restaurants, doctor's offices, hotels, and more. Lego Tackle Box // Simple Play Ideas- I'm normally a chaotic, messy person, but I love the convenience of a tackle box for storage and keeping anything I need at my finger tips (see how we use them in our homeschool here). I find this Lego box extremely appealing. 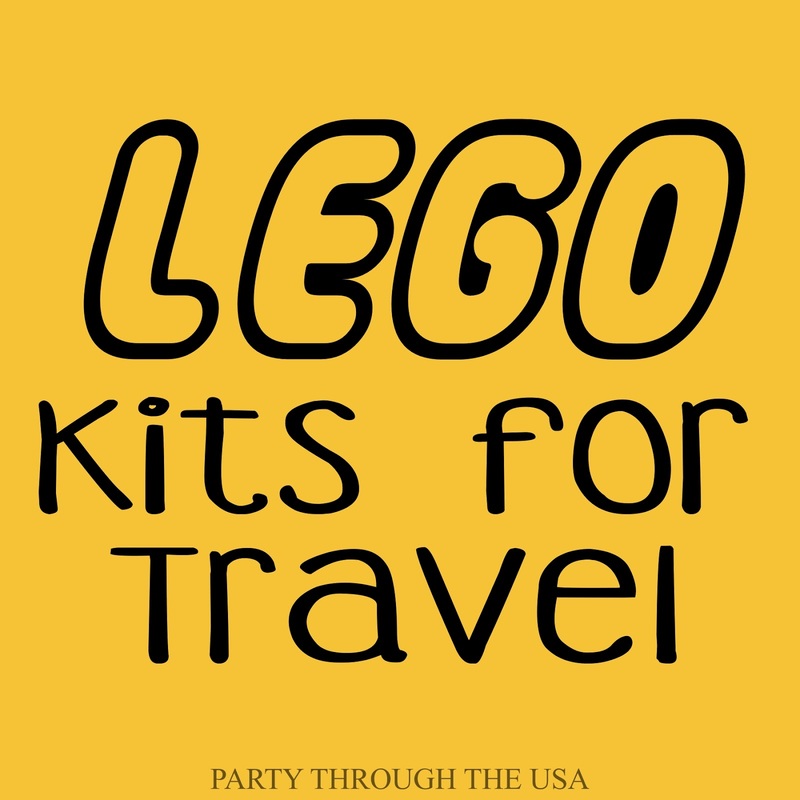 Dollar Tree Lego Kit // Making Things is Awesome- If you're worried that your kids is going to lose his expensive Lego pieces while traveling, this "Fay-go" kit from Dollar Store bricks, plates, and containers is a great compromise. 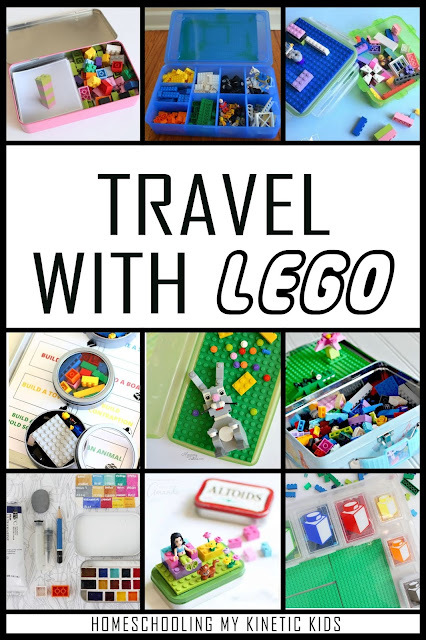 Magnetic Lego Tray with Printable // Little Bins for Little Hands- Even if you have no interest in using magnetic with kids (this kit uses magnetic spice containers), you have to open this link just to grab the Lego building challenge cards. It's a great printable to have just around the house for the "I'm bored" times. Wipes Container Kit // Hello Splendid- Travel wipes containers are one of those things that you need intensely for several years, but once the diaper years are over, then what you do? Turn those wipes containers into a Lego kit! Click the link to read all about it. Metal Lunch Box Kit // Hip 2 Save- My kids love metal lunch boxes! They're so fun and have a great latch on them for keeping your favorite items securely stored together. It's a simple step to add some Lego bricks to the inside and take it with you. A Different Kind of Lego Kit // Jad Montenegro- I know this isn't a typical way to enjoy Lego bricks, but my husband (Bullfrog) is a plein air watercolor painter. I put this kit in my roundup in case there are others like him out there. Lego Altoid Tin // Crafts by Amanda- As you all know, I love Altoid tins for crafting, organization and storage! 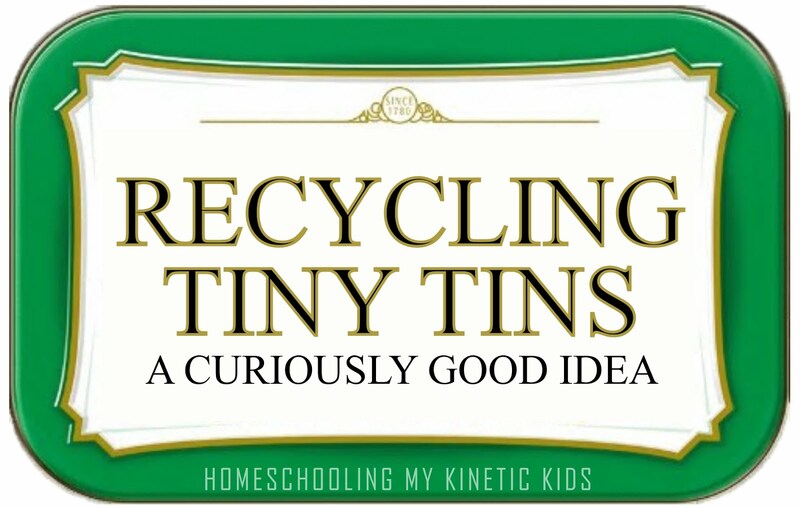 I'm sure I've featured this idea before in one of my tin roundups, but this is a great chance to bring it up again. Scrapbook Box Kit // The Good Stuff- A 12x12 scrapbook box and a few latch boxes make a large travel container for taking anywhere you want to go.